So what makes a premium keyword research tool worth the investment? Why even use one in the first place? In short: It’s all about the collected data, time being saved, and the deeper knowledge of the vertical that can be gained by the user. In addition to directly speeding up the discovery process, keyword research tools also grant you access to current and historic data that can turn challenging campaigns into well-planned missions. Plus, you can discover your competitors’ content gaps across search engines. When it comes to SEO, the difference between great data and poor data is all the difference in the world. Having information on demand and the knowledge to strategically target relevant search terms is critical. Many experts in our industry know how to do it by hand the old-fashioned way; and there’s nothing wrong with being able to create content around keywords that are statistically proven using the DIY approach. However, the amount of time you will save in the long run can be worth the up-front cost of a high-quality SEO tool package. A premium SEO keyword research tool offers invaluable benefits to agencies. A great tool should be able to scale up as accounts and employee levels grow. 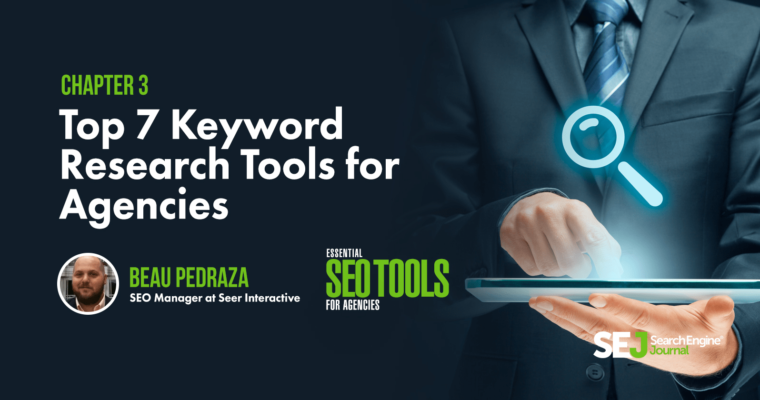 Let’s cover seven well-known keyword research tools in the SEO world and go over the benefits and features that each provides, each using a single search term for comparison. 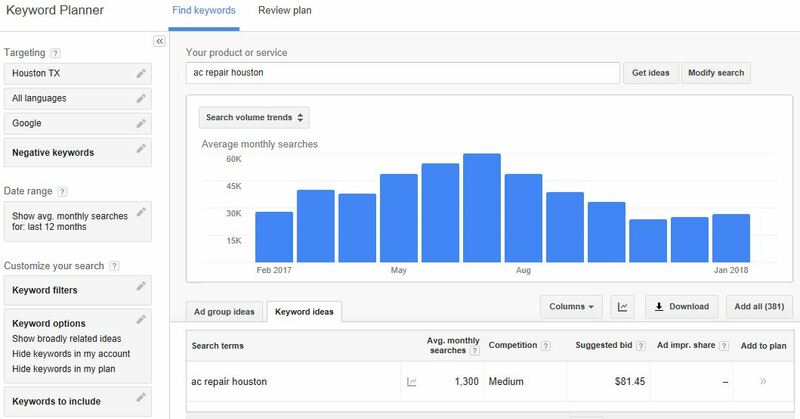 Keyword Planner, Google’s classic keyword research tool, is a feature within the Google Ads ecosystem. The big question for those doing SEO: is it still relevant in 2018? Long considered the baseline standard for SEO keyword insights, Google loves to make it difficult to use for SEO pros with minimal PPC expertise. Keyword Planner can show trends and data at a city, region, even for a Nielsen DMA-level area (perfect for major metropolitan areas). 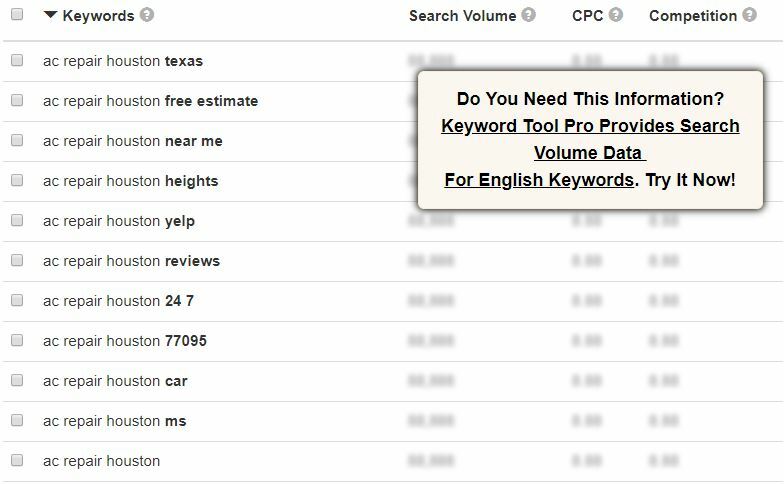 When coupled with landing pages from your competitors, it’s easy to pull relevant high-volume keywords. One of the major criticisms voiced by the SEO community revolves around the merging of search volumes for similar keywords. Previously, each search variation would have its own reported volume (e.g., “dog park near me” would report differently than “dog pars near me”) and the often-repeated sentiment among SEO professionals allude to a weakened level of service and general uselessness. Considering the rising competition in the industry, and the improvements many of the bigger vendors have made in recent years, it’s easy to understand this side of the discussion. 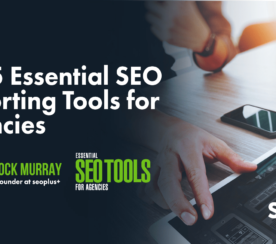 Long held as the industry standard for SEO resources, Moz continues to update their core services, and their Keyword Explorer tool is no exception. Pricing is for the entire suite of services, which is ideal for agency or multi-seat requirements. Recent changes of Moz’s service offerings have been met with mixed-to-positive reviews. While that can be said for many vendor efforts in search marketing, Moz is a company that continually tries to keep up with the trends and provide cutting edge solutions as they have for over a decade. 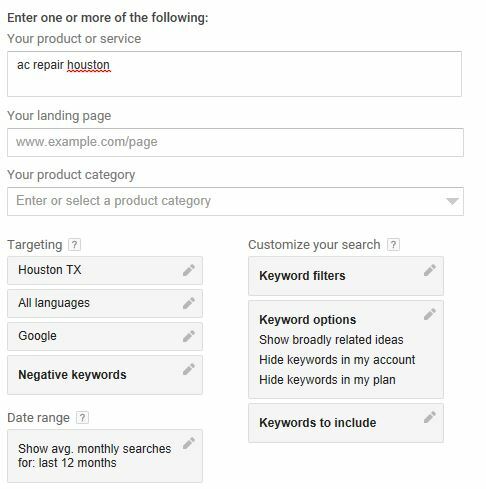 When you enter a term into the Moz search box, you’ll receive a combination of data segments. For what it does well, there are a few issues with Moz’s tool. For one, it tends to rank among the lowest in the volume of keyword suggestions provided, with roughly 1,000 results delivered per seed term. Moz also provides the same granularity of search volume data that Google’s Keyword Planner provides, providing estimated ranges rather than concrete numbers. It can also be argued that since seasonality and demand are an important factor when it comes to volume per month, that a lack of granularity shouldn’t be held against them, but rather, be seen as a barometer of expectations rather than a predictive service. Moz updates their U.S. database frequently across 40 million+ Google search engine results pages and cycle upwards of 15 million keywords on a monthly basis, allowing for them to keep up with changes in the landscape and how people search. 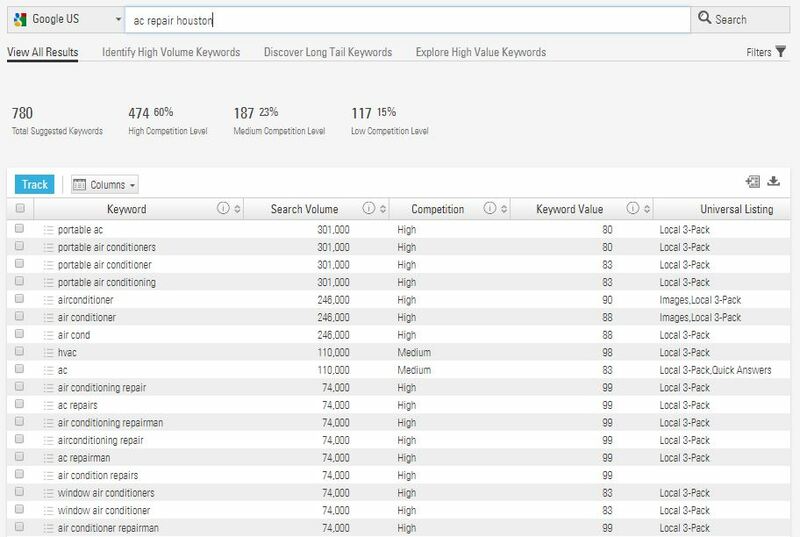 Moz’s Keyword Explorer provides a user-friendly aesthetic that allows agencies to quickly identify opportunity, track performance, assess competitive threats, and drill down into the page-level details for head and niche terms. SEMrush has a well-earned reputation as one of the best search engine optimization tools in the marketplace. This tool suite provides paid and organic keyword data, along with competitor information, and does it well. 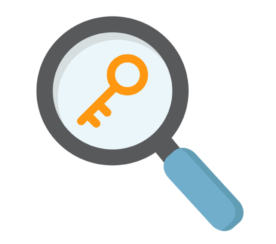 SEMrush excels at many things, but we’re here to focus on keyword research for organic search. When you enter a search term, SEMrush can provide hundreds of thousands of keyword suggestions (among the major players in the industry, only Ahrefs can boast about delivering more). When you enter a search term into the box, you’re presented with a number of panels that may seem a bit daunting at first. By drilling into the organic competitors section, you’ll begin to understand why their platform is ideal for competitive keyword gaps, as it will show other in-kind and general domains that occupy the search landscape. Being able to cross-check seed and long-tail keyword data with what your competitors are ranking for is a major reason why many search industry veterans use SEMrush. SEMrush will also cover terms it believes are semantically-relevant for the initial query at both a phrase and relational keyword level. Often, this data will require a bit of filtering, but this is doable within Keyword Analytics, as is the ability to determine the type of SERP features that a term ranks for across your site or the competition, thanks to a Position Tracking option. 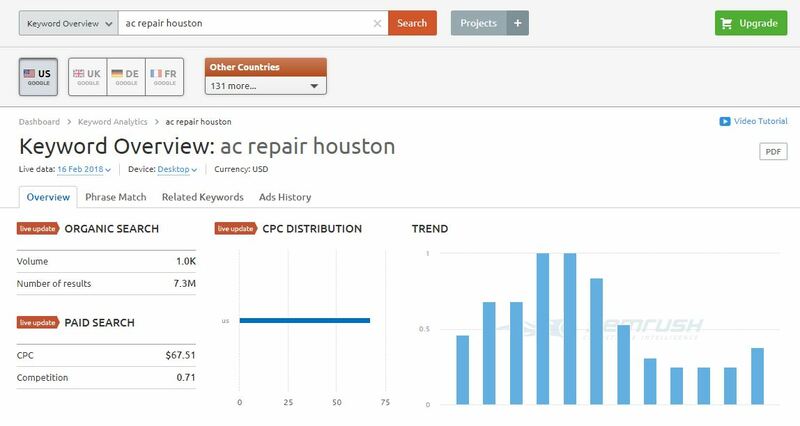 This feature also outlines potential outcomes for Page 1 rankings based on competition, difficulty, and can also handle multiple-location campaign tracking at the city and hyperlocal level, making SEMrush a powerful service. 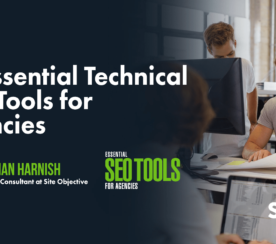 For agencies that wish to collaborate across internal teams and believe SEO and PPC work best when they work together, SEMrush also has you covered. PPC data is also provided for a keyword, which is critical for high-competition, high-cost conquesting campaigns. SEMrush provides considerable data related to organic search results, but its historic information on ad history and other paid search metrics vital for deeper collaboration within an agency or in-house work can’t be beaten. Disclosure: The author is a subscribed user of Ahrefs and is not being compensated for his review. Ahrefs Keywords Explorer is a powerful, all-purpose SEO tool which provides an expansive database that is updated monthly. Ahrefs’ keyword generator provides more results than any other tool in the marketplace, and they provide full transparency about how their metrics and database operate. When a keyword is identified in Keywords Explorer, Ahrefs takes you to the screen below, where the amount of options provided can feel overwhelming at first. Ahrefs has many strengths outside of keyword research, but the data they provide when a term is entered is outstanding. Keyword Explorer provides multiple levels of data along with terms broke out in parent/child topic format, making it easy to pinpoint intent and fine-tune terms which apply and those which overlap. They break down terms by search volume, click data (which can be toggled given that many informational queries receive high search volume but low clicks), and a difficulty rating system. For topic-related key terms that appear when a keyword or keywords are added, you’re presented with a number of data points. This includes the term’s placement ranking on SERP, along with the type of SERP result, the estimated difficulty of reaching first-page rankings, along with a drop-down SERP snapshot which pulls in the result for the user, all on-demand. Tracking can be done at the city level and by language. One of the downsides of Ahrefs is its price. While the tool is powerful, it can be a challenge to scale for smaller agencies who would rather have many seats for users and client accounts. Ahrefs offers options outside of their normal pricing structure via a “Contact Us” link. But if you’re OK with a single login and fine with being booted when another user needs to do research, Ahrefs is a well-rounded solution for any digital marketing agency. Disclosure: The author is a subscriber of BrightEdge services and is not being compensated for his review. Of all the tools being covered here, BrightEdge is likely the one that sticks out the most. Whereas other options are either free or can be manually integrated on a monthly level and by anyone with a mouse and keyboard, BrightEdge is a platform that handles client reporting, domain management, integration across Google and Adobe analytics, as well as social media integrations and analysis. BrightEdge is also the one that doesn’t allow for manual submission of tracked domains – to do that, you’ll need to speak to your client rep.
Often compared in discussions with fellow SaaS vendor Conductor, BrightEdge offers a robust keyword research tool known as Data Cube, which provides historic data on a monthly level for any domain or keyword. The Data Cube feature can be easily added to their reporting platform, known as Story Builder, which makes providing client reports with broad performance results for terms that center around a common segment a breeze. Because Data Cube only tracks at a U.S.-level for desktop and smartphone, filtering will be important. In the top-right, you can add filters covering a number of categories using include, exclude, greater than, less than, or by number. This comes in handy when you use the Data Cube for competitor gap assessments; the filter can easily exclude branded search terms to highlight how non-branded performance for a site compares to their real-world reputation (or how other forms of marketing and advertising influence consumers). The only big downside is that Data Cube updates monthly, usually around the 6th to the 9th of the new month. This, however, is overshadowed by how well it covers keyword data for the term and by domain. BrightEdge is a powerful platform that is great for agencies that are seeking to scale up with minimal hassle. Contracts typically run for one year and services provided can be added or customized to fit your agency’s current and growing needs. Tracked keywords are also additional, which can often fail to scale up based on the demands of each new client, but provide exceptional hyperlocal tracking to the ZIP code level and update weekly. Keyword granularity is minimal at best, and research features in Data Cube don’t go broadly into parent topics or cover paid search metrics like Ahrefs or SEMrush, but for a young agency with a young staff and the desire to keep it drag-and-drop, BrightEdge is ideal. 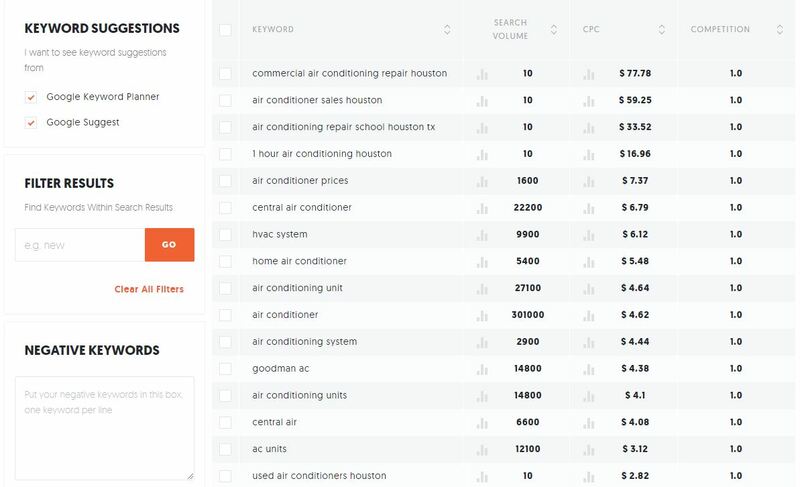 Developed by entrepreneur Neil Patel, Ubersuggest is a free tool that anyone can use, and it functions similarly to how Google’s search bar uses autocomplete. You can easily see this for yourself by heading up to the omnibox and typing in a word slowly, letter by letter. This is a time-wasting task that nobody wants, making Ubersuggest a great way to expedite this. Once you’ve entered your term, you’ll first see a summary section highlighting search volume, estimated CPC, and the logarithmic level of perceived competition. The best part? You don’t have to focus on web results. You have the options of zooming in on Google’s Image, Shopping, YouTube, or News results as well. Considering the price tag, this is pretty nice to have. Ubersuggest also supports numerous languages and countries, which other premium services often make it a challenge to replicate or find inside of their platform. Because Ubersuggest uses Google’s autocomplete API, this tool is great for both young and experienced SEO pros who either seek a quick way to learn about how search works, or are comfortable with how keywords and content work together at a topic level. Often compared to Ubersuggest, Keyword Tool uses Google’s autocomplete API to pull in data by speeding up the manual process at a high rate. The biggest benefit of using this service is that, unlike Ubersuggest, you can also pull terms across Bing, Amazon, and even eBay. While the website claims to be free, this is a half-truth. You can see the keywords provided, but to access the data behind the pulled terms (search volume, competition, etc. ), you’ll need to pay. The benefit of using KeywordTool: it works well for discovering variations of keywords to build content around. The downside: all of the other tools above do the same thing. Are there any benefits to getting a Pro Plus account? Well, it offers a simplistic user experience and it could be worth it if eBay or Amazon search optimization is important to you. It’s a well-made tool, but it doesn’t cover deeper needs of content marketing, which rely on a deep understanding of topics, context, and semantically-related terms. 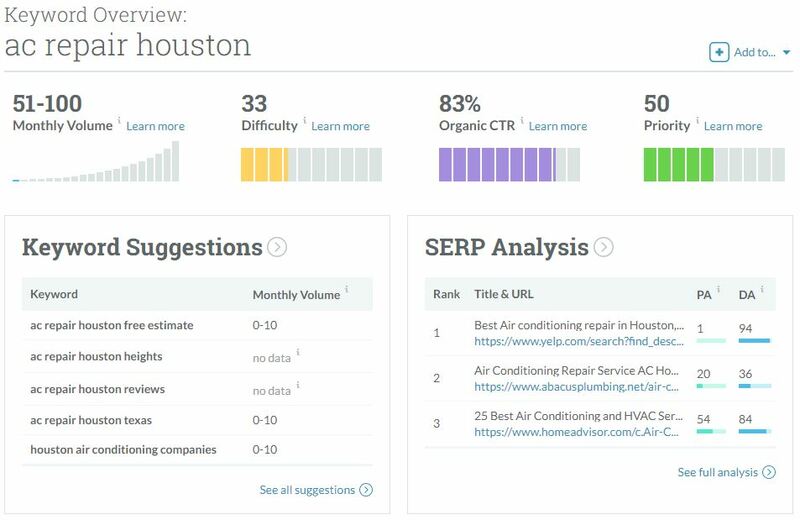 Which SEO Keyword Research Tool is Right for Your Agency? This is, by no means, an exhaustive list of keyword research tools. Even among the tools discussed in this chapter, there is no “perfect” keyword research tool. Each tool has benefits and shortcomings. 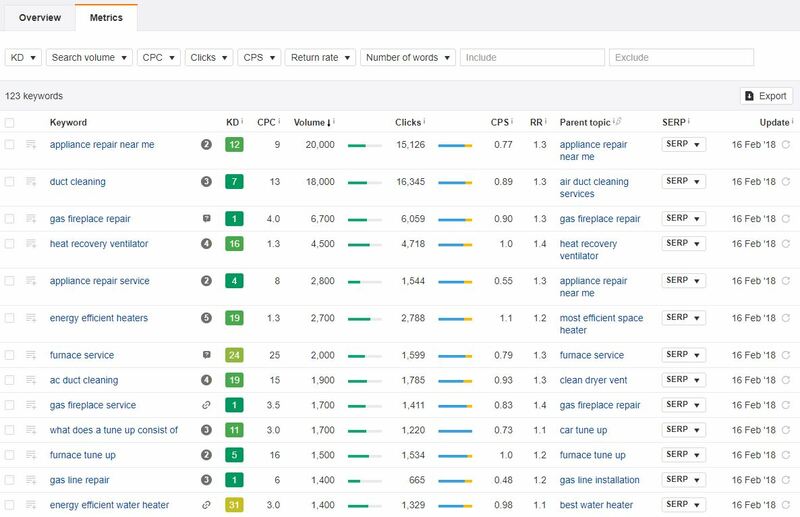 When selecting a keyword research tool, it’s best to understand where your agency’s strengths and weaknesses lie. Tools such as Google Keyword Planner and Ubersuggest are great for quick compiling of keyword data. In many cases, the data that can be exported from their outputs can help seed deeper research with the help of Moz and Ahrefs Keyword Explorer. While Moz and Ahrefs (especially SEMrush) are more robust in their data being provided, they come with a steeper learning and usage curve for inexperienced SEO pros. They also require more of an upfront cost, which may not be feasible for a new agency. One tool that we didn’t go over involves you – the digital marketer. Screenshots taken by Beau Pedraza, February 2018.